Jayme Locke, MD, director of the UAB Incompatible Kidney Transplant Program, has been awarded the Distinguished Investigator Award for Translation into Public Benefit and Policy. The honor, presented to Locke at the Association for Clinical and Translational Science Conference, is awarded to an investigator whose innovative research or education leadership has had a major impact on clinical and translational science. Locke reported the first national study of five and 10-year outcomes for HIV-infected recipients of kidney transplants. She has also performed the south's first HIV-positive kidney transplant from an HIV-positive deceased donor, a transplant made possible by the HIV Organ Policy Equity Act, which she played a role in developing. Locke has directed the ongoing UAB Kidney Chain -- the world's longest -- which has helped 94 people achieve a kidney transplant since it began in 2013. Locke also oversees UAB's Living Donor Navigator Program. Locke currently holds R01, R56 and K23 grants from the NIH, and frequently presents her research findings at international transplant meetings. In 2017, Locke was selected for the James IV Traveling fellowship, which aims to promote communication in the surgical community. 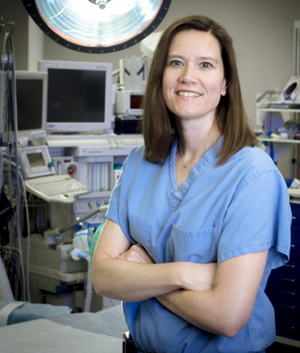 She has also helped UAB form a key partnership with the University of Cape Town in South Africa, where she and her team have helped Groote Schuur Hospital develop protocols for transplanting ABO-incompative patients -- a first for the continent of Africa. Locke has also received the American Transplant Congress Young Investigator Award, is one of the Birmingham Business Journal's Top 40 Under 40 and was named one of Al.com's 2015 Women Who Shape the State.